Parent Visas allow parents to live in Australia either on a temporary or indefinite basis if they are sponsored by a child who is an Australian citizen or permanent resident. Parents may also be eligible for a long-stay visitor visa, which is an option worth considering. Apart from the contributory parent (temporary) visa, all parent visas are permanent visas, meaning that once the visa is granted, parents will enjoy full permanent resident living and working rights. 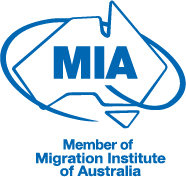 Parent visas impose some of the most stringent Australian visa requirements, because the Australian government wants to ensure that migrants do not unfairly take advantage of Australia's social welfare system. The parent satisfies Australia's health and character requirements. These requirements may vary, depending on the visa subclass applied for. While a parent can apply for a simple Parent visa, these visas can take an extremely long time to be granted (up to 30 years). Generally, the better option is to apply for a Contributory Parent visa, which has significantly shorter waiting periods, and which are given a higher processing priority. Contributory Parent visas can be applied for while the parent is on-shore or off-shore, dependent on various criteria. However, Contributory Parent visas are generally more expensive than a simple Parent visa - a temporary Contributory Parent visa is usually approximately $20,000 AUD, while a permanent Contributory visa generally costs about $45,000 AUD per parent. With the stakes this high, rather than risking your future and your financial resources, speak to Pathway's qualified migration agents for comprehensive advice, tailored to suit your personal circumstances. Parent visas can be the most complex and stressful visas to apply for because of the various stringent requirements. This stress can considerably worsened if all of the children are already residents in Australia, while the parents are still abroad. To make the process as stress free as possible for both parents and children, contact Pathway for a free and friendly appraisal of your circumstances.